The CEO update series, is produced for members of MHI, so you can stay on top of what’s happening now and what’s on the horizon. 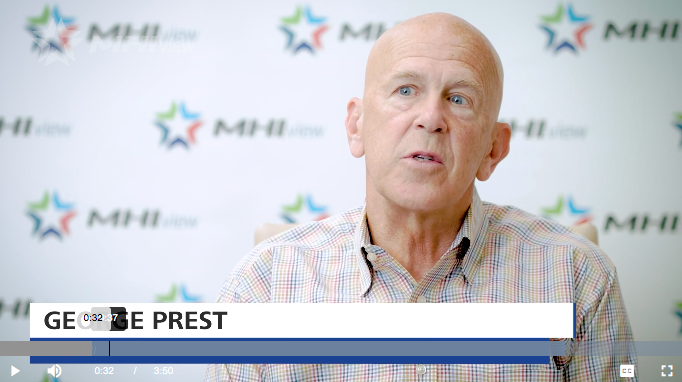 In this episode, George Prest discusses the ways in which emerging themes from the 2018 MHI Annual industry report have been incorporated into the programming for the MHI Annual Conference. In the 2018 MHI Annual Industry Report, several key themes emerged that were not present or less prominent than in previous years including cyber security, block chain, artificial intelligence and the digital workforce. George Prest discusses the ways in which these concerns have been addressed. View full video. By attending the 2018 MHI Annual Conference you’ll learn how to utilize these material handling and supply chain trends and innovations and seize new opportunities that turn digital disruption into a tangible advantage for your company. You’ll also have the opportunity to participate in Product and Solutions Groups meetings that help shape the future of our industry. The Conference will feature four keynotes and twelve education sessions.